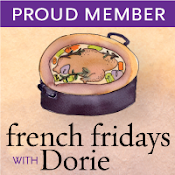 This week’s French Fridays with Dorie challenge is for Tzatziki! Before you say, “That’s not French,” remember the geographic borders have not always been what they are today. The French traveled and occupied lands all around the globe, so it stands to reason that their cuisine is influenced by their exploits. The best reference on this topic is A Mediterranean Feast by Clifford A. Wright if you’d like to learn more. When we lived in Rome, we used to travel to Greece for Easter. 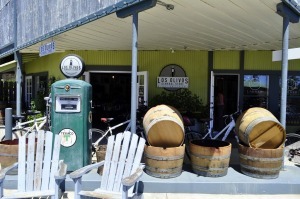 It was there that I first encountered Tzatziki served with Fried Zucchini. As kids, my brother and I could devour plates full of those hot crisp vegetables dipped into that cool, tangy sauce! As fate would have it, my brother invited us over for a Greek-style barbecue last night, so I told him we’d bring the Tzatziki and Pita Bread. Since we had all the ingredients for the Hummus which we’d missed when the rest of the Doristas made it back in October, we decided to make it, too. 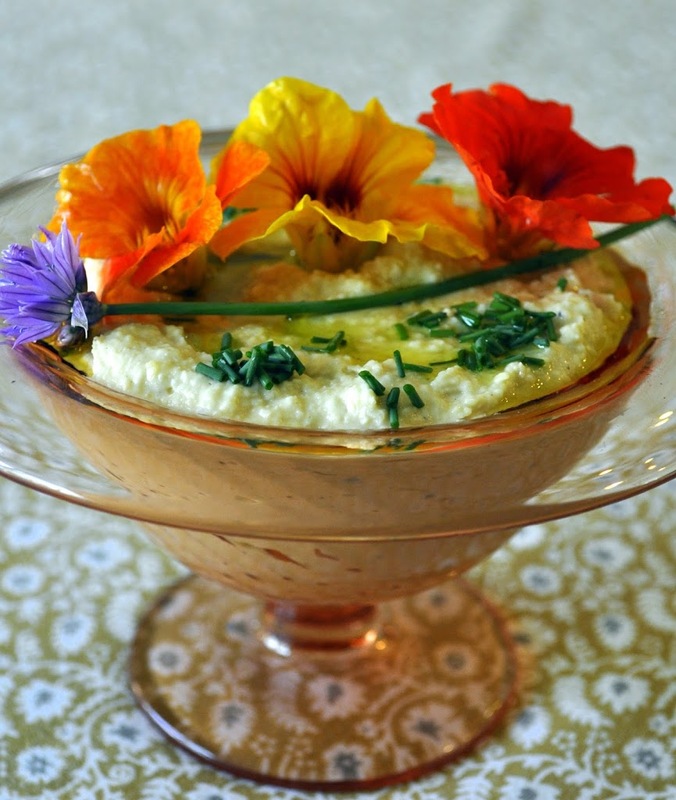 Both of these dips came together quickly, and are worth making from scratch. We sprinkled Paprika on top of the Tzatziki and drizzled some Buenaventura Olive Oil on top – just like they serve it in Greece! We drizzled some Basil Olive Oil on top of the Hummus and topped it with Chives and edible flowers. 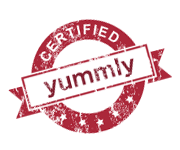 We all enjoyed the dips with Pita Chips and on top of grilled chicken tucked into warm Pita Bread with grilled vegetables. We’re sure to enjoy these again – soon! Oh, Susan, both of these dips are lovely in appearance and I’m sure, in taste. The Paprika on the Tzatziki looks pretty. I am making Tzatziki again on Monday for an evening wine and nibbles party so will do your Paprika/Olive Oil thing to enhance it. Oh Susan – what a beautiful presentation! The hummus with the flours is gorgeous. We loved this recipe – perfect for summer dining. 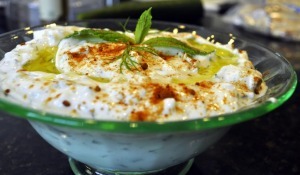 I love tzatziki and hummus, they are truly perfect for parties and always better homemade! For some reason those gorgeous bowls and presentation have put me in the mood for a festive cocktail! 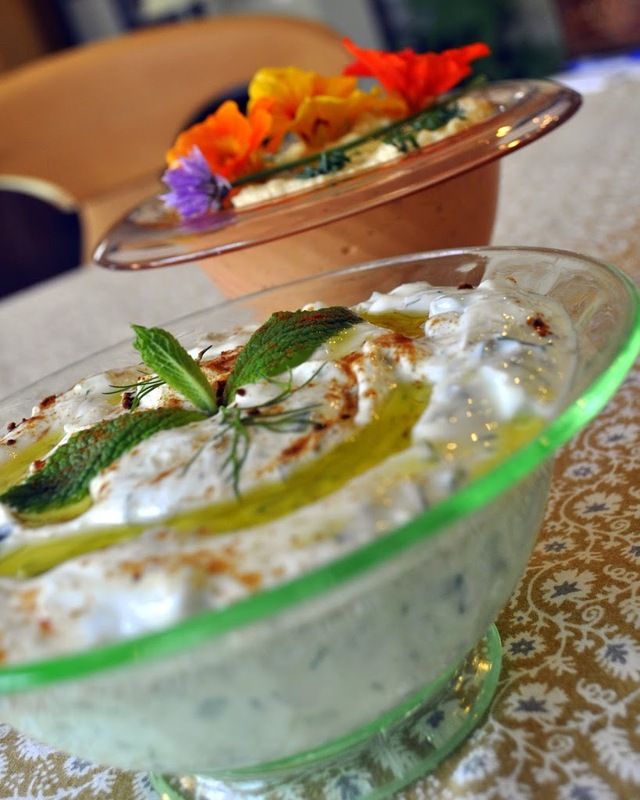 The Tzatziki looks perfect. How long did you get to live in Rome? 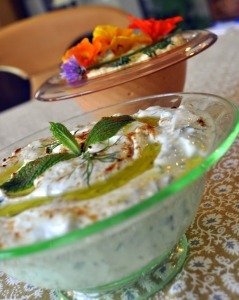 I served tzatziki and hummus together too. I like the sound of this with grilled chicken in pita. Great idea for my leftovers. Glad you enjoyed this week’s tzatziki. Pita chips are a perfect accompaniment. sounds like quite the Greek – Dorie feast you had! I hope it was as amazing as you anticipated! It sure sounds fantastic! Great idea to dip zucchini for this time of year when everyone is trying to think of things to do with zucchini… wow what serendipity about the Greek barbecue. Sounds like a fantastic time. ha! your presentation is so colorful and beautiful and I just dumped it in a bowl. We had it for lunch for this week’s make up but I finished off whatever was left with a spoon. Who needs veggies or chips?